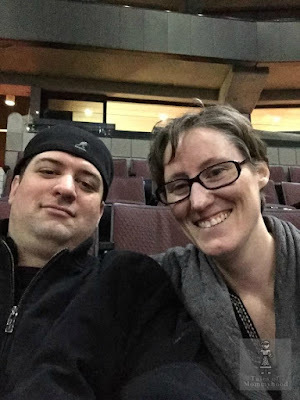 Boo Bamboo is a Canadian company featuring skin care, hair care and sun care products for adults and children. I was recently sent some samples to try out myself, and have been using them for the past several weeks. Stronger, healthier looking hair with incredible shine after one use. of hair products that’s guaranteed to make your hair strong and gloriously shiny in no time flat. Having used the above hair products for the last 4 weeks, I can say that I have noticed a huge difference in my hair. I use the shampoo and conditioner every other day, and the conditioning treatment 1x week. My hair is not dry and brittle, and seems to look and feel much healthier than it did prior to using the Boo Bamboo products. They don't leave my hair feeling like there is build up on it, and it feels clean and fresh after it has dried. The products have a natural, earthy smell to them and are paraben and DEA free. They are formulated for all hair types, and are safe to use on colour treated hair. I have dry skin, and find that I need to exfoliate (especially my legs) once a week to help keep them smooth and healthy looking. The Skin Refining Exfoliating Body Wash leaves them feeling great, and isn't too rough. Another great product! As I mentioned above, I have very dry skin. I find that moisturizers often help immediately, but once they have been absorbed my skin is dry and flaky again. With the Anti-Age face lotion, I am very happy to report that this doesn't happen. Once the lotion is absorbed into my skin, my face feels great. It retains the moisture for the majority of the day. I haven't noticed a difference in terms of anti-aging, however I didn't have much in regards to lines etc before starting to use the product. Boo Bamboo wants you to try their products! One lucky Tales of Mommyhood reader is going to WIN the same products that I have tested. Entering is simple - follow the instructions on the form below to get your entries in! This giveaway is open to Canadian residents only, and will run from May 21 until June 4th at 11:59pm EST. Good luck! I would love to try the Anti-Age Facial Lotion! The line-lifting face cream sounds intriguing! the color seal for me as well. Would love to try the sun products. For my baby's bum, I would love to try the baby SOOTHING DIAPER CREAM! Skin Balancing MAKE-UP REMOVER WIPES would be great for me. The Silky Smooth BABY LOTION. I like the Exfoliating Body Wash! I'd like to try the baby wash and shampoo! I would like to try the Baby Boo products for my grandson. I would like to try the natural sunscreen. I'd love to try the SPF 40 Natural Sunscreen. The make up remover wipes! I would like to try the baby sunscreen or the body wash. I would like to try the SFP 30 Facial Sunscreen. I definitely want to try the shampoo and conditioner! Summer means I'm in the shower sometimes twice a day and it takes it's toll on my hair, would love something non-abrasive and drying that I can use frequently. The natural sunscreen interests me the most...seems like a great product. I would love to try the skin balancing make up remover wipes! I'd like to try the Anti-Age FACE LOTION. I would like to try the Boo shampoo, simply for it's name. SPF 30 Sunscreen Lotion is nice. The Skin Balancing face wash is a product I'd like to try. Would LOVE to try the Revitalizing Conditioning Treatment! I'm interested in trying the Anti-Age Facial Lotion. I would love to try out the Boo Bamboo shampoo and conditioner the most.I have dry and easy breakable hair and would love to see if this would strengthen my hair. I really want to try the childs sunscreen! the children's sunscreen for my two munchkins! The Bamboo Makeup Removal wipes would be helpful. I would love to try them. Thanks! 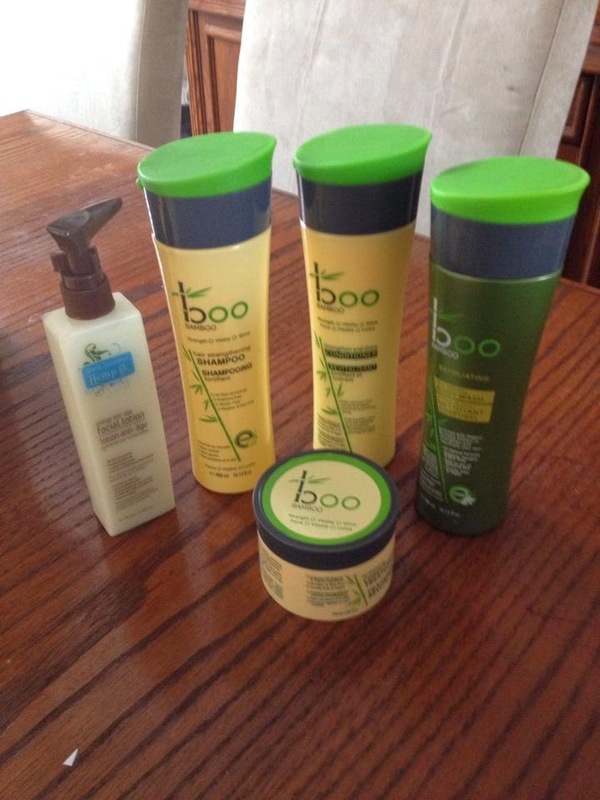 I would love to try the Boo Bamboo shampoo and conditioner! My frizzy, curly hair needs help! I'd love to try the SPF 40 Kids & Baby Natural Sunscreen! I would love to try the Anti-Age FACE LOTION thanks.